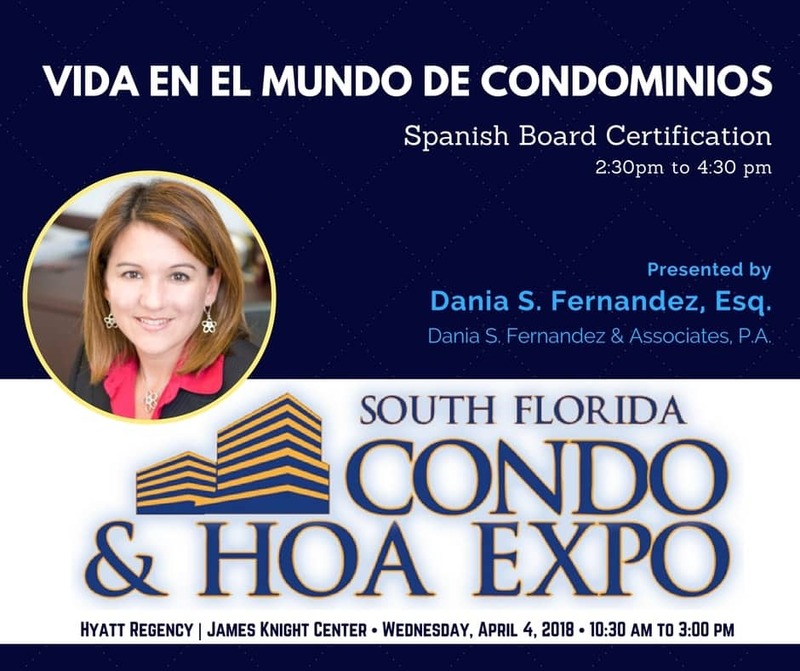 South Florida Condo & HOA Expo April 4 2018 - Dania Fernandez, Esq. 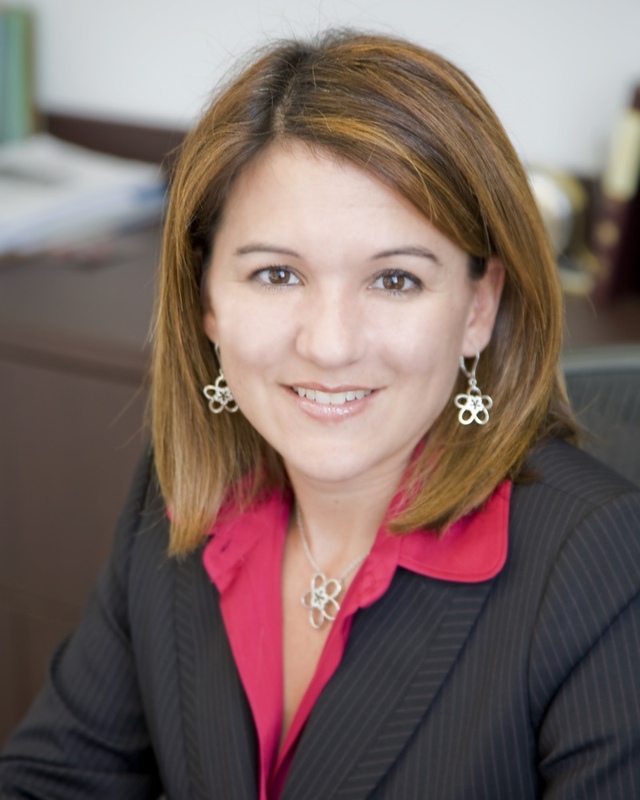 Dania S. Fernandez & Associates, P.A. “Vida en el Mundo de Condominios” is a Spanish DBPR approved Board Certification course. The course incorporates Association laws, Board duties and responsibilities, handling a board meeting, insurance requirements, collection tactics, budget, elections and assessments. Throughout the course, all guests will be encouraged to participate in question and answer dialogue.